The Gents Swiss Chronograph Watch boasts a modern, yet classic design. Featuring a stylish dial, with multiple sub-dials and a contemporary two tone stainless steel strap - Suitable for any occasion. The Tissot Designer Watches are an ideal gift choice. 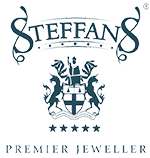 Creating a fabulous, perfect to be teamed up with matching pieces from the Steffans Jewellery Collection. 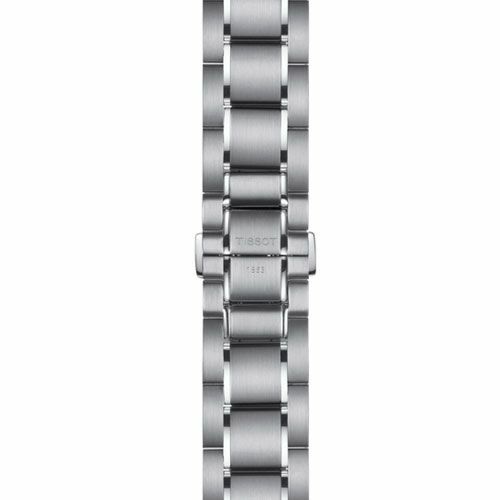 A Sports Style Gents Tissot Watch, offering a contemporary design combined with reliable Swiss quality. Complete with 3 Sub-Dials, this is suitable for both casual and formal occasions and is an ideal gift choice for someone special. The Tissot PRS 516 Watch is inspired by the 1960s motorsport industry. Providing a classic timepiece, integrated with the new innovations of Swiss watch making - Complementing the nostalgic design elements brought from the racetrack, ideal for any sports enthusiast. Boasting a sleek design, the Tissot Chronograph Watch offers a timeless look, featuring a duable, scratch-resistant ceramic bezel and classic stainless steel strap. 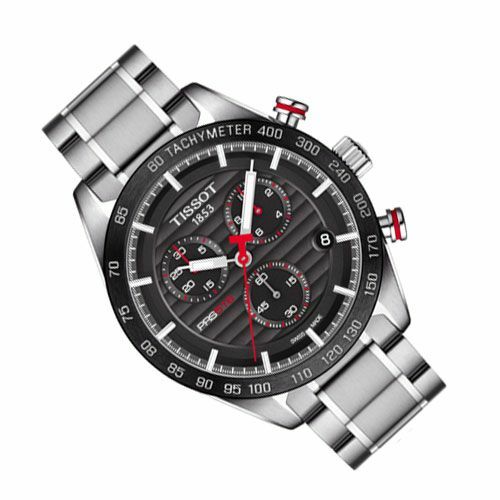 Forming part of the popular Tissot T-Sport Watch Range, this designer Quartz Watch easily matches any outfit style. The Chronograph Tissot Watches are high quality Swiss Watches, providing endless hours of precision with sustainable style. Perfect to be combined with designer jewellery pieces from our Gents Jewellery Collection to create a stylish look. 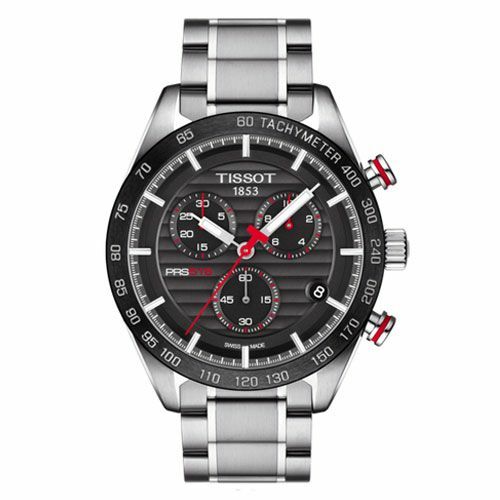 Purchase the designer Chronograph Tissot Watch from Steffans Jewellers today for FREE Next Day Delivery, with 60 day returns on all orders and an optional gift wrap service. Renowned for their traditional yet innovative approach to watchmaking, Tissot's craftsmanship and meticulous attention to detail is what keeps their brand and customers at the forefront of stylish timekeeping. From minimalist designs that remain effortlessly stylish to bold, striking statement pieces that are beautifully crafted and a delight to show off, the Tissot collection possesses a classic style that boasts a hint of vintage with a modern and contemporary edge. Feel free to call our team at 01604 622090 or e-mail online@steffans.co.uk. We will be more than happy to assist you.